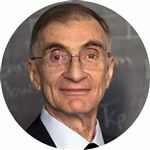 After graduating from Cranbrook, Joel received his Bachelor of Arts degree in applied mathematics from Harvard University in 1965, and earned a Ph.D. in applied mathematics from Harvard in 1970. In 1973, he received from Harvard another doctorate in population sciences and tropical public health. He received an honorary master's degree from the University of Cambridge UK in 1974. He is currently Abby Rockefeller Mauzé Professor of Populations at the Rockefeller University in New York City and at the Earth Institute of Columbia University, where he holds a joint appointment in the Department of Earth and Environmental Sciences, the Department of Ecology, Evolution and Environmental Biology, and the School of International and Public Affairs. He is also a member of the Council on Foreign Relations. More on his work here.